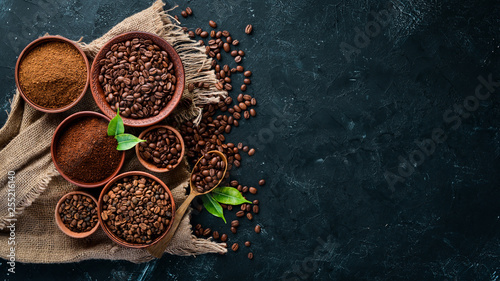 Leinwandbild Motiv - Yaruniv-Studio : Ground coffee and coffee beans. 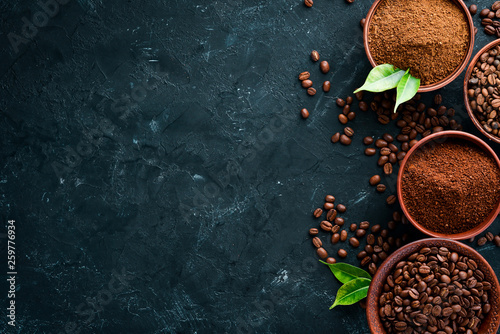 Assortment of coffee varieties on a black background. Top view. Free space for your text. 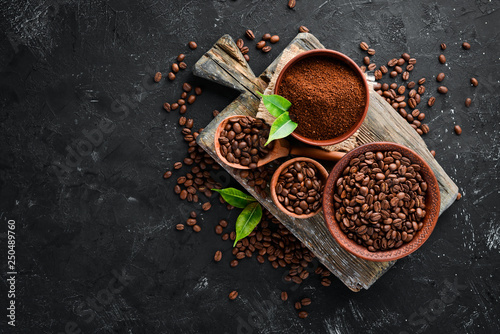 Titel Ground coffee and coffee beans. 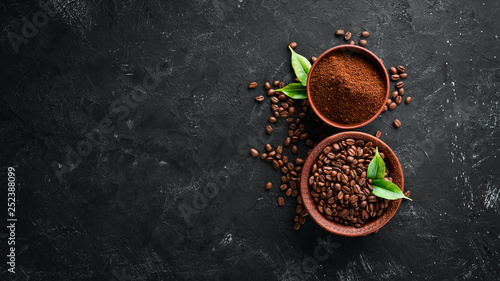 Assortment of coffee varieties on a black background. Top view. Free space for your text. 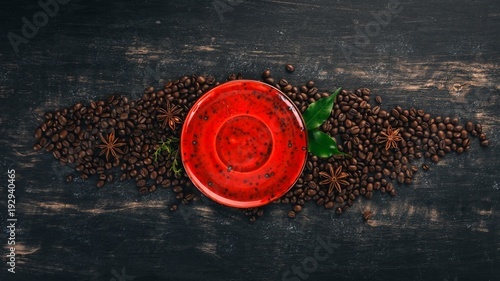 Grain coffee on a black wooden background. Top view. Copy space.